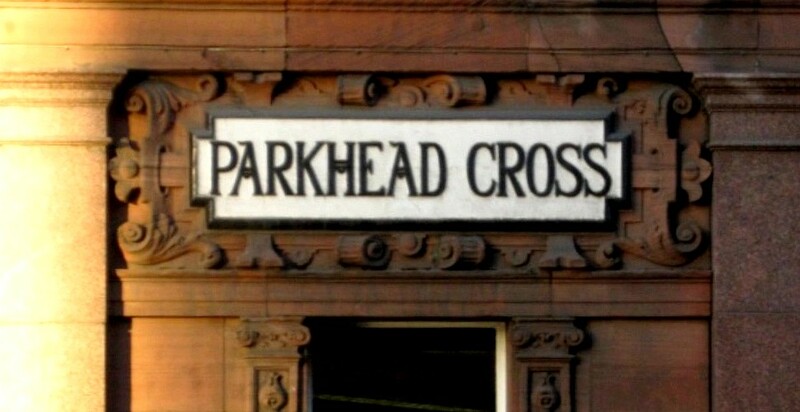 Parkhead began as a small weaving village positioned at the junction of Great Eastern Road and Westmuir Street. 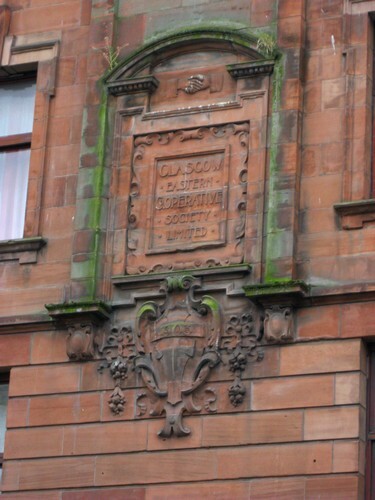 Great Eastern Road was an extension of Gallowgate from Glasgow Cross and extended along Tollcross Road. 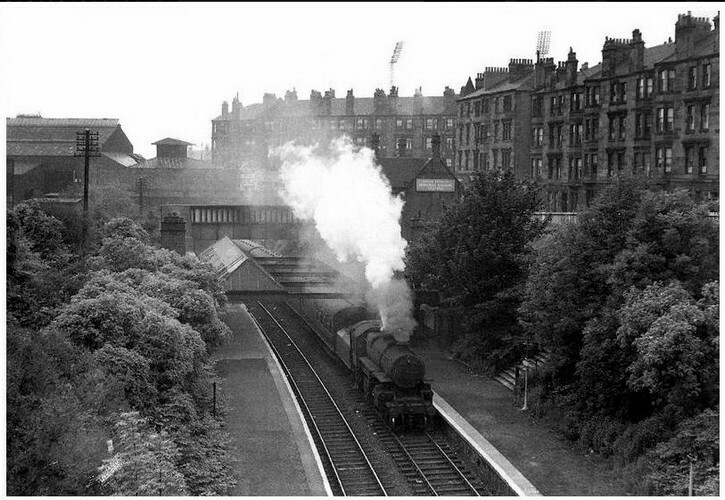 The lands of Tollcross are very ancient and were in the past owned by the Corbett family, and later the Dunlops. 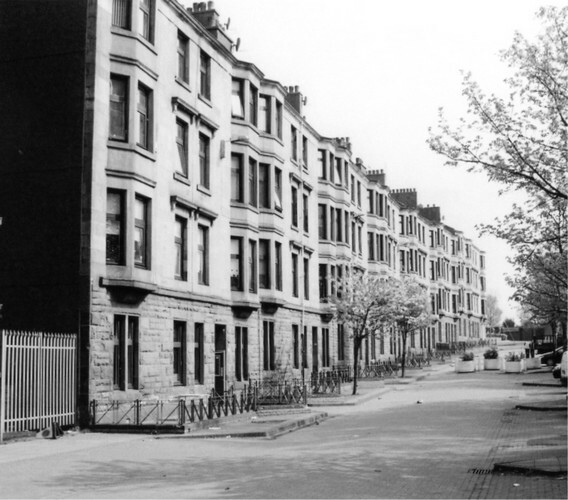 The Dunlops built Tollcross Mansion which serves today as a residential facility for the aged.Westmuir Street leads to towards Shettleston, another very ancient place, made up of three parts ; Eastmuir, Middle Quarter and Westmuir. 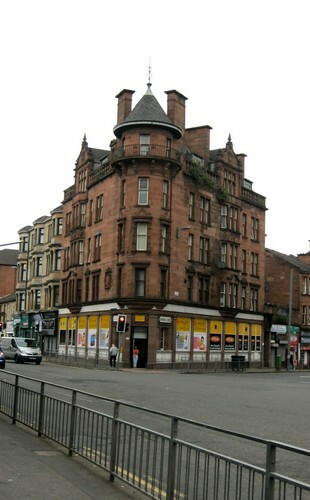 Built in 1905 to a design by Crawford & Veitch. 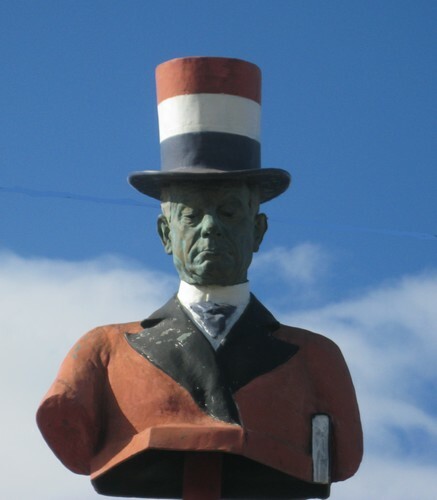 The busts of members of the Watson family are clearly visible. 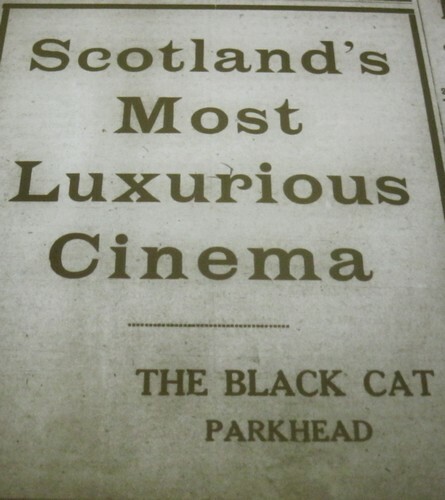 The Watson family owned a significant amount of property in and around the Parkhead area. They lived at Muiryfauld Drive, and James R. Watson was a Professor of Chemistry, whilst George R. Watson was a merchant and victualler. 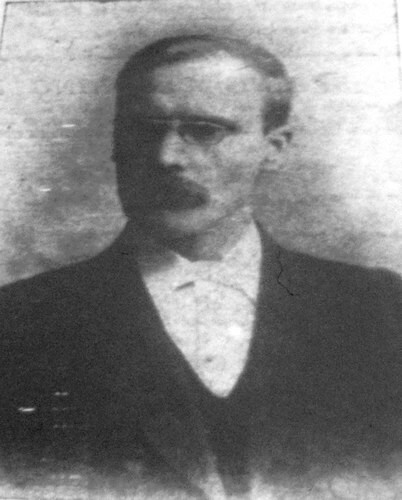 George Sharpe was forty when he arrived in Parkhead in 1905. 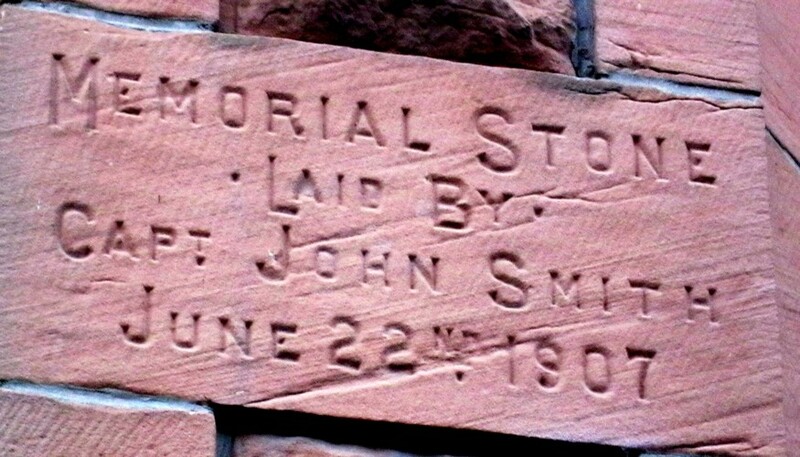 Rev Sharpe was born on 17th April 1865 in Dalziel near Motherwell and became a clerk in Colville’s steel works .In 1886 George Sharpe moved to New York State to work for the Rose family who had emigrated to New York from Motherwell in 1884 and owned steel works there. While in New York George became a member of the Methodist Church and later received an offer from his minister to pay for his tuition through college to enter the ministry. On 17th November Rev Sharpe married Jane Brayton Rose, and served in three New York State Churches at this time. 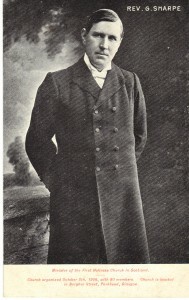 In 1901 Rev Sharpe returned to Scotland. 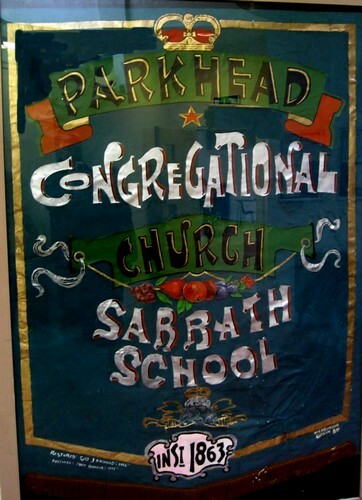 He accepted a call to Parkhead Congregational Church in 1905. 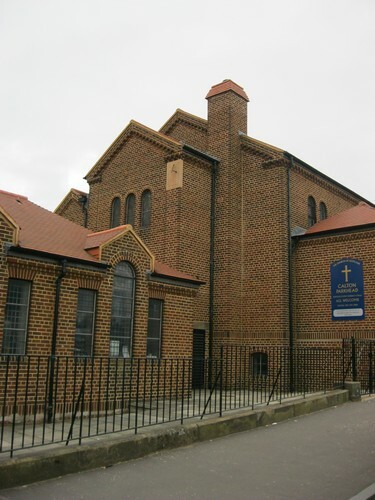 In 1906 Rev Sharpe left the Congregational Church and formed a new Church.Land was bought in Burgher Street, and a sum of £300 was raised by the time the deeds were ready. Building of the new Church began in 1907. 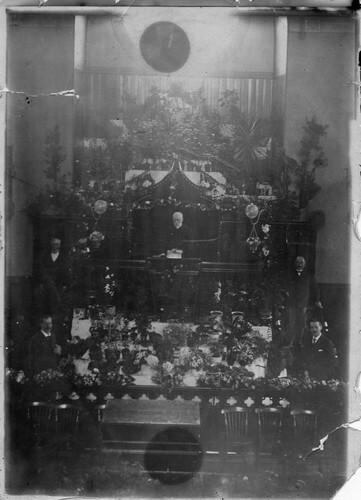 Rev Sharpe crossed the Atlantic to raise funds for the building and the new Church opened in December at a total cost of £3,000. One of the teachers of the Church was Miss Olive Winchester, an heiress of the inventor of the Winchester Rifle ,who in 1909 came to Glasgow to further her studies at Glasgow University where she became the first woman to be admitted to the Faculty of Divinity, and is thought to be the first woman to be ordained in Scotland. I would like to thank the Rev Colin Woods and Rev Ian Wills for all their help in this project. Calton Parish Church first opened its doors on Tobago street Calton 1793 . In1905, admist much opposition from some of his brethren,Rev W Chalmers Smith B.D. 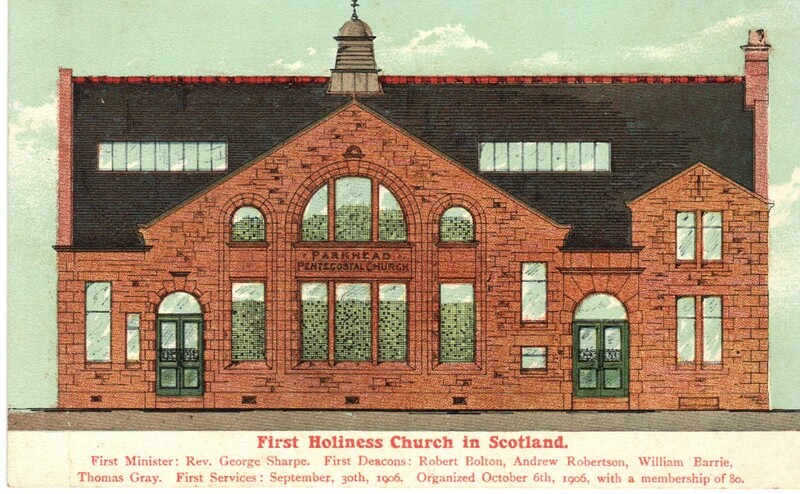 bought and erected in the east-end of his parish, at Helenvale Street , Parkhead, a corrugated iron building to be used as a place for Divine Worship, and personally canvassed the neighbourhood and was successful in gathering round him a band of people to form the nucleus of a congregation. 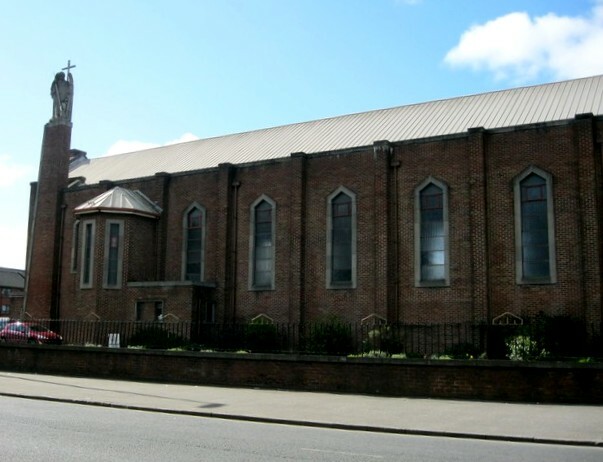 Today many ministers look back with loving eyes to the tears spent in the Master’s service in the ‘wee tin kirk’ as it was affectionately called, and which laid the foundation of the building of their spiritual career,1935, he saw and took part in the opening and dedication to the worship of Almighty God the beautiful parish church now situated in the Parkhead district of Glasgow. 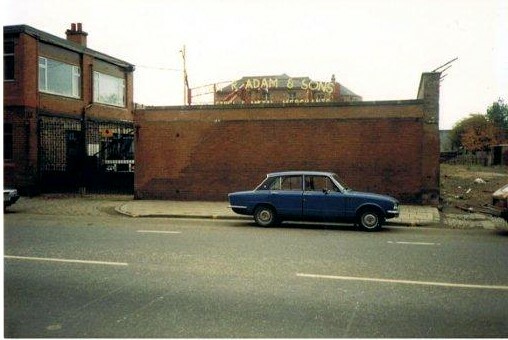 John R Adam & Sons, Scrap Metal Merchants, is a fourth generation business that started at Parkhead Cross in 1895. 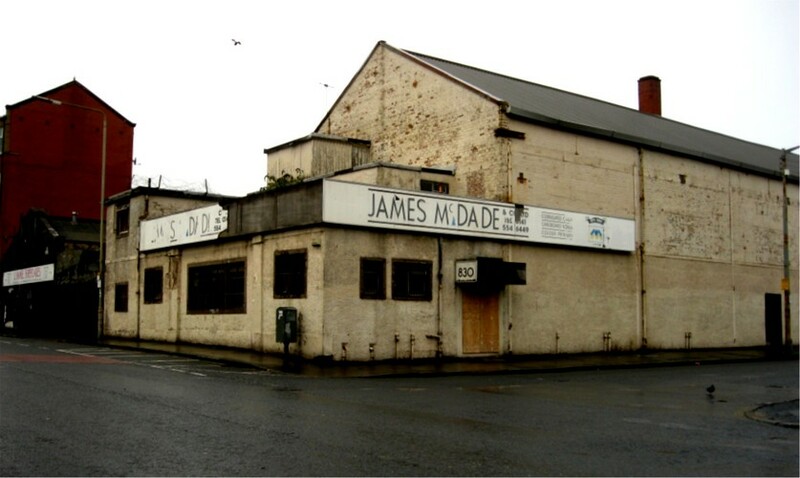 The photo on the left shows the gates and offices that looked onto the Gallowgate. The firm also had a garage on Springfield Road across from St Michael’s Primary School, and a yard where the new Sir Chris Hoy Velodrome is being built. 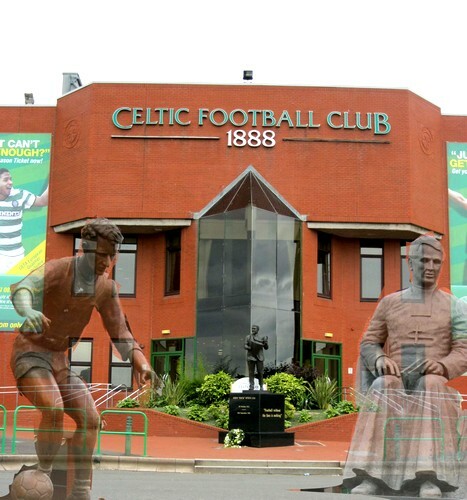 Many people of Parkhead will remember the bust that stood above the gates on the Gallowgate. This was stolen at one time, but later recovered and is now at Adam & Sons’ premises at The Riverside Berth, King George V docks in Glasgow. 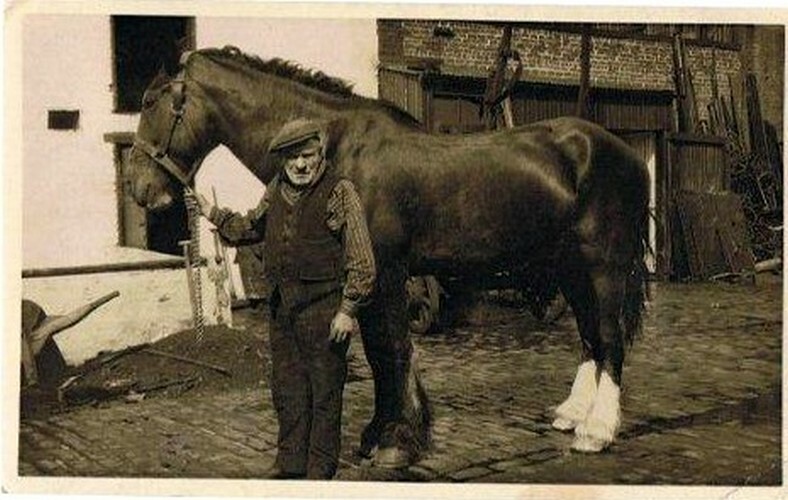 The man looking after the horses was known as Rab the Carter. These photos are copyright © 2011 of John Adam & Sons. I would also like to thank Alex Mungall for all his help. The 4000-seat velodrome will sit adjacent to the National Indoor Sports Arena. Both of them are key venues for the 2014 Commonwealth Games. the Velodrome was desighned by , Schuermann Architects. And is owned by Glasgow City Council,it is located in Dalmarnock alongside the Athletes’ Village. . 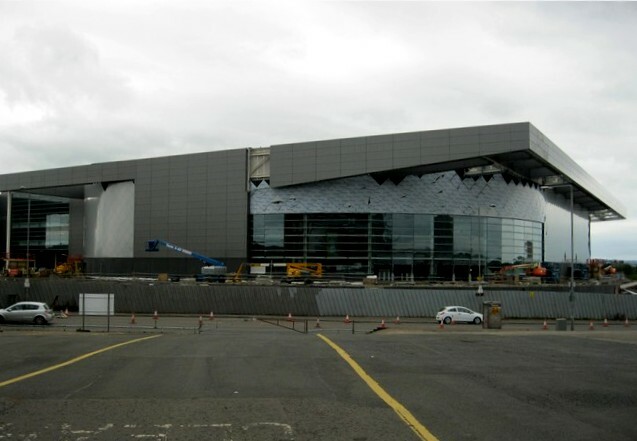 The arena will have a 250-metre track With a viewing capacity of 2,500 and an additional 2,000 temporary seats for Glasgow 2014, it will be able to attract some of the world’s top cycling events to Glasgow. 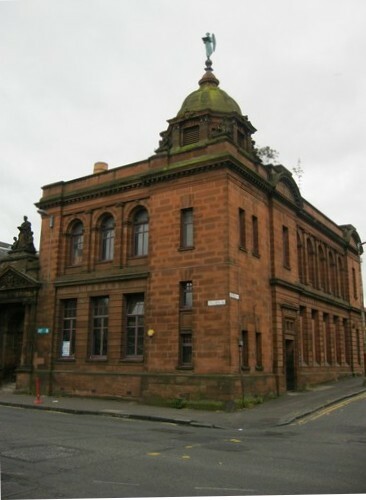 1887 Celtic Football Club is formally constituted in St Mary’s Church Hall in East Rose Street (now Forbes Street), Calton. 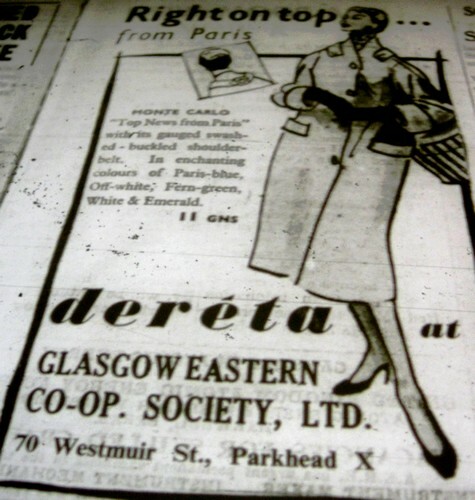 The purpose is stated as being to alleviate poverty in Glasgow’s East End parishes.1967 Celtic complete their most glorious season by winning every competition entered: Scottish League, Scottish Cup, League Cup, Glasgow Cup and the European Cup. The climax of the season is the 2-1 victory over Inter Milan in the European Cup final played at the Estadio Nacional in Lisbon on May 25, 1967. Celtic thus become the first British (and non-Latin) club to win Europe’s most coveted trophy. John ‘Jock’ Stein CBE (5 October 1922 – 10 September 1985) was a Scottish association football player and manager. He became the first manager of a British side to win the European Cup with Celtic in 1967. Stein also guided Celtic to nine successive Scottish League championships between 1966 and 1974. Tommy Burns, who was held in high regard throughout the game, died on 15 May, 2008, at the age of 51, after two years fighting skin cancer . He made over 350 appearances in midfield for Celtic during the 1970s and ’80s. In this time the club won six league championships and four Scottish Cups. He also won eight caps for Scotland and spent five years with Kilmarnock where he began his management career. 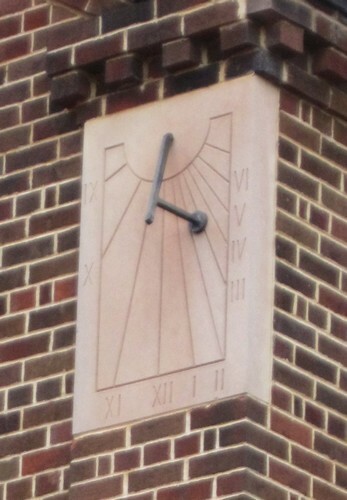 Granada : Sited at 1317 Duke Street opened in 1935 to a design by Lennox & McMath, with a seating capacity of 2400. 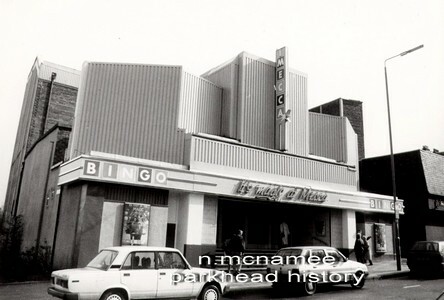 It remained as a cinema until 1972 then it became a bingo hall. 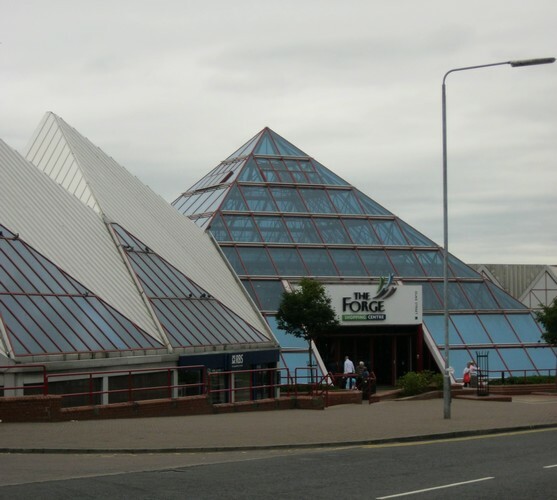 It closed in 1995 and was later demolished. 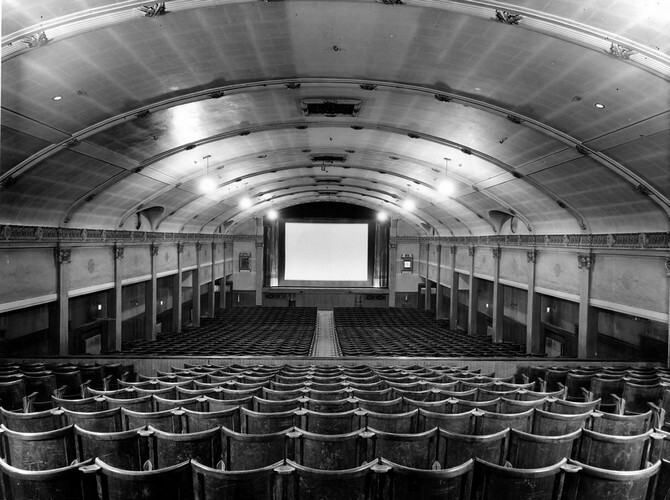 The site was previously that of the Louvre Cinema, which dated from 1914 and could seat just under one thousand patrons.
. 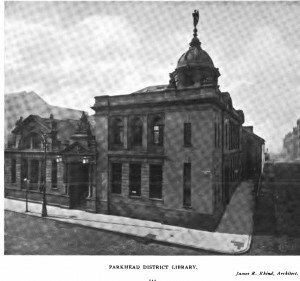 Number 64 = Parkhead Public Library, built in 1906 to a design by J.R. Rhind. 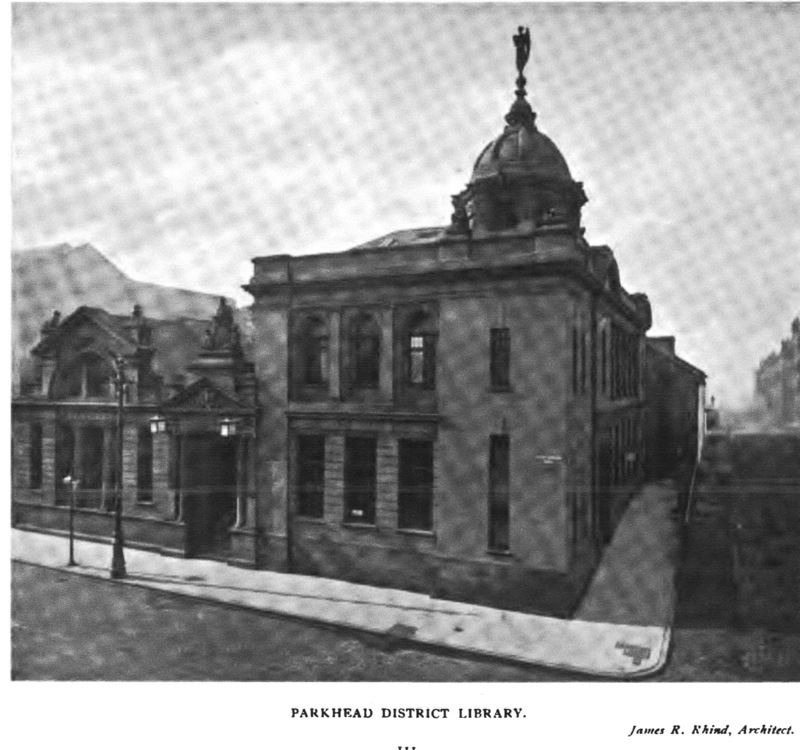 The library was officially opened by Councilor James Shaw Maxwell who was one of the early instigators of free libraries for Glasgow. 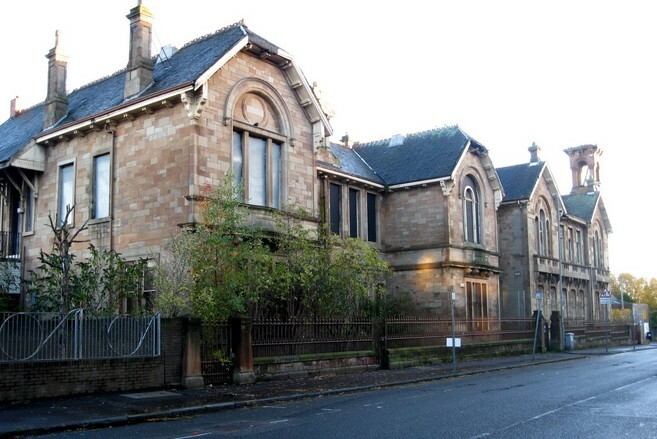 A Carnegie library is a library built with money donated by businessman and philanthropist Andrew Carnegie. On top of the dome is an Angel sculptured by Kellock Brown. The library is curently clossed to the public for renovation work but should be open for the end of 2011. Photo on left is Issue counter at Parkhead Library, Glasgow, in 1907. Site: Gross area 902 sq. yards; Building area 559 sq. yards. Total: about 9,588 when completed. 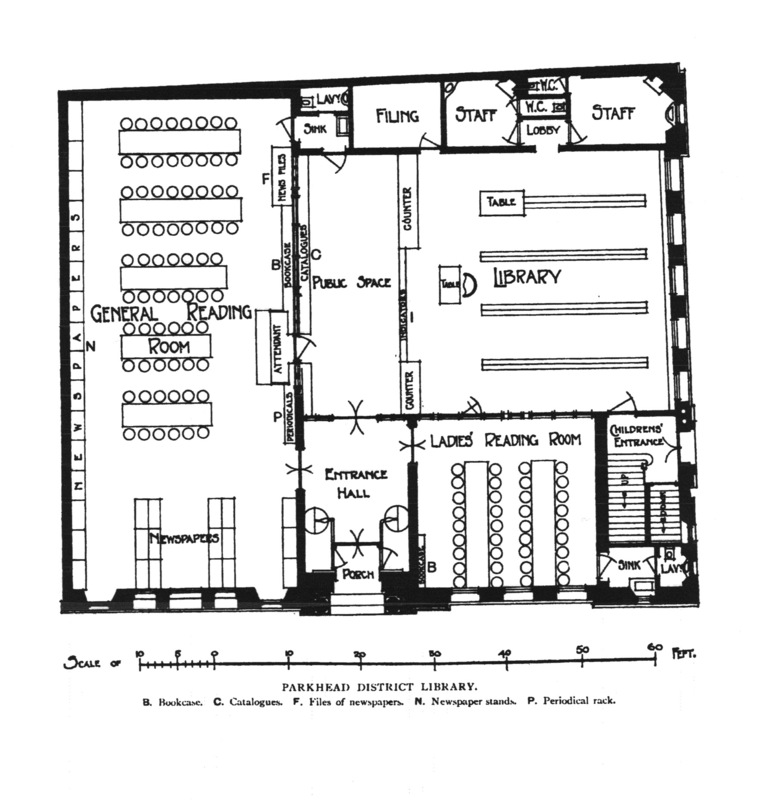 Above is: a) Floorplan Layout; b) General Reading Room; c) External View. 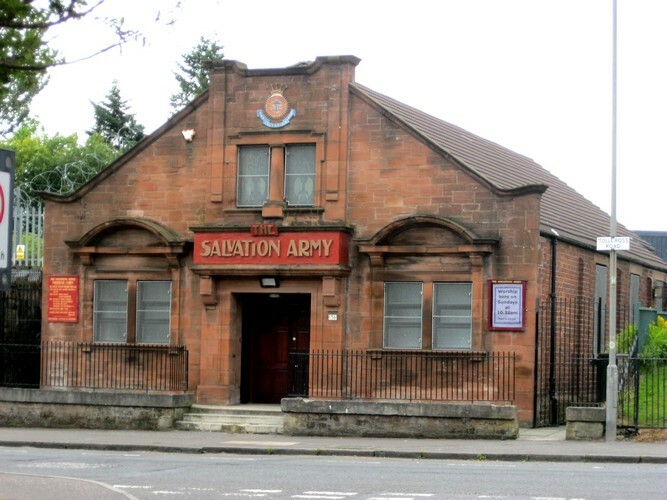 The Salvation Army Parkhead Citadel Corps, No. 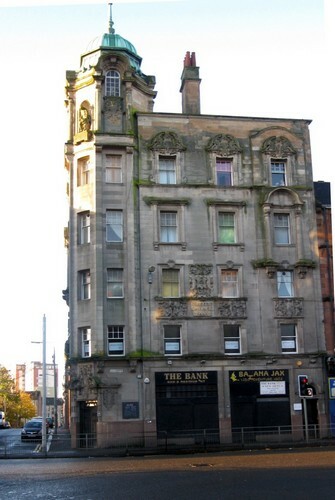 59 was opened on Thursday 21 January 1886 by Captain William Palmer (later a Lt. Commissioner) and major Thomas Adams (later Commissioner) when on a tour of the Glasgow District of the Scottish Division. 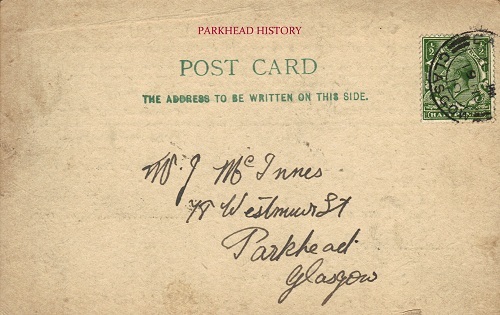 A report in “The War Cry” of February 1886 (A Tour in The Glasgow District) reported “Parkhead was opened on Thursday 21 January 1886. The Bridgeton Brass Band came over to help us. 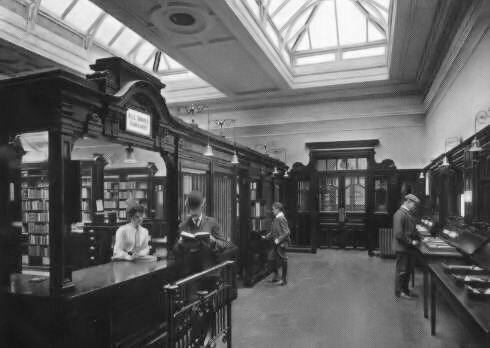 Large bills had been posted, advising the people of our entry. There were great wonderment and excitement. 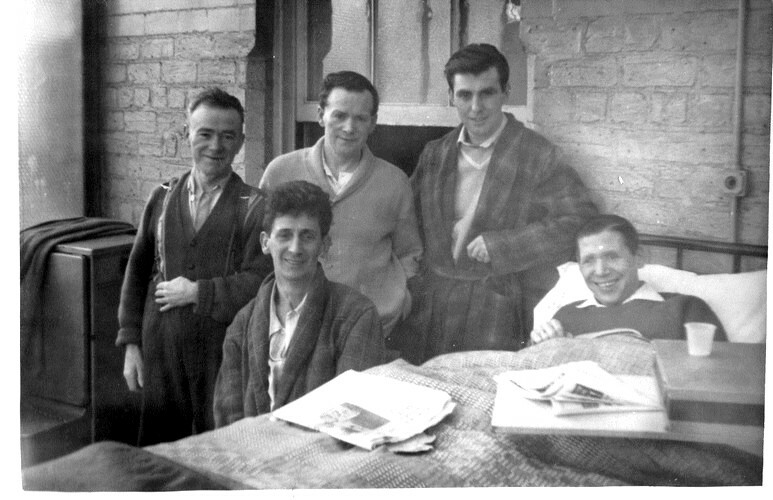 There were crowds of people on the line of the march, and on our arrival at the Parkhead Public Hall we were unable to get into the main door, owing to the crush of the people who wanted to get in. However, we got in by a side door. The people got in were just the right class – men with black faces and working clothes; women without bonnets, and the majority the working class. God blessed our efforts. At the close two souls came to the Cross. Another report in “The War Cry” of March 13 1886 stated; “A wonderful change has taken place here since our first visist, three weeks ago – being the opening. God has been doing great things, and quite a harvest of souls gathered in. The barracks which hold about 200 was packed to excess, and many unable to get in. 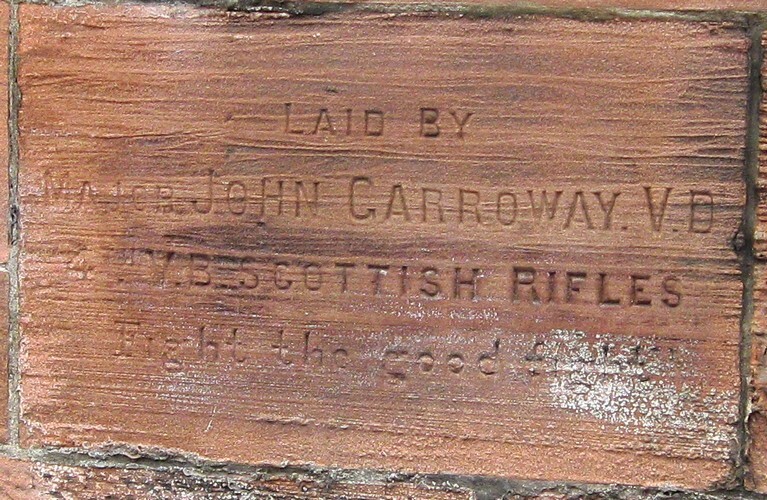 One has the inscription, Laid by Major John Carroway V.D. (Volunteer Decoration) 4th V.B. 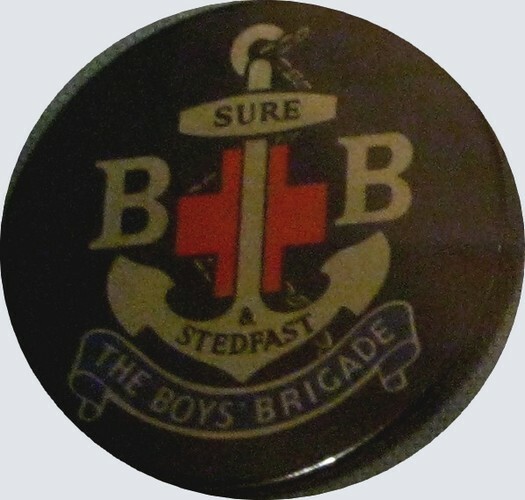 (Volunteer Battalion) Scottish Rifles. Fight the Good Fight. 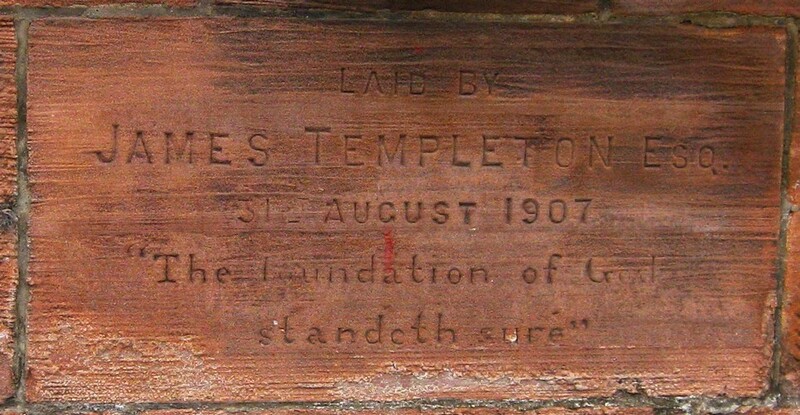 Another has the inscription, Laid by James Templeton Esq. 31 August 1907. The Foundation of God Standeth Sure. 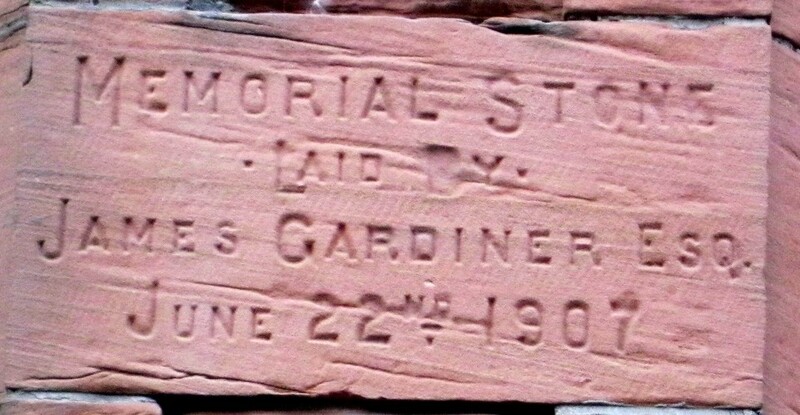 The third stone has the inscription, Laid by The Provincial Commander on behalf of Scotland Province and the E. Glasgow Division. The souvenir programme for the 50th Anniversary Celebrations shows that the celebrations were held over the weekend of Friday 8th November to Sunday 10th November 1935 with a Great Jubilee Banquet being held on the Friday with Lt. Colonel Pennick (Divisional Commander) and Mrs. Pennick presiding. A Great Reunion Gathering was held on the Saturday and an Armistice Service held on the Sunday. The 71st anniversary celebration were conducted by Lt. Commissioner & Mrs. W. Grottick (Territorial Commander) and supported by Lt. Colonel & Mrs. R Trainer (Divisional Commander). 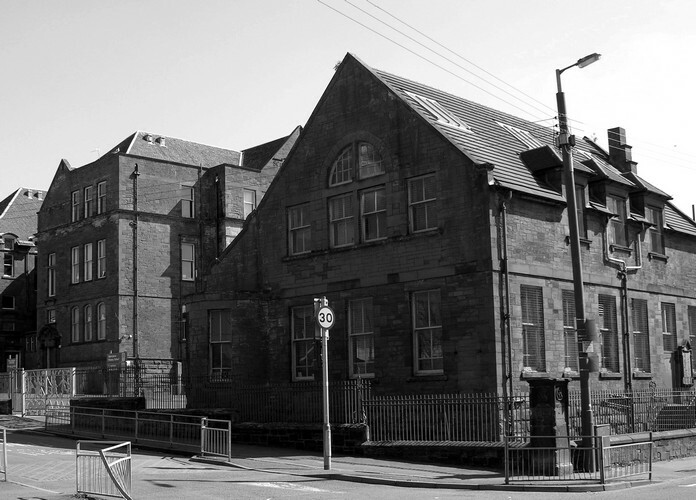 The hall was closed in 1972 for renovations to the Senior Hall and the building of an extension which was to be the New Young Peoples Hall. The Dedication and Reopening of the Parkhead Citadel took place on Saturday 17th November 1973 by the Territorial Commander and Mrs. Commissioner John Fewster. 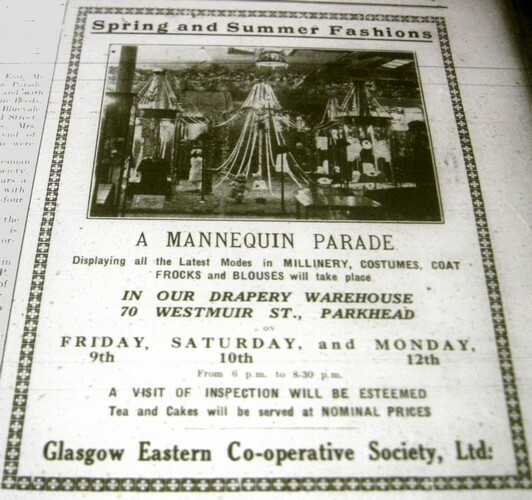 Thanks were expressed to the Local Traders who contributed to the costs of producing the programmes and amongst these local traders was our own Tam McCann’s father George who owned and ran a butchers shop on Tollcross Road. 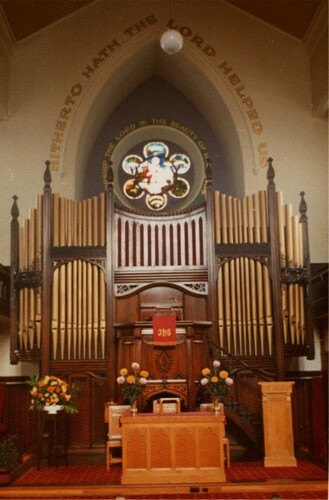 On Friday 24th January 1986 a centenary dinner was held in Calton & Parkhead Parish Church, Helenvale Street at 7pm. And tickets were £5 each. A centenary Festival of Thanksgiving was held on Saturday 25th January 1986 in Shettleston Halls, Wellshot Road with guest leaders Colonel & Mrs. W. Layton. A Centenary Reunion Weekend was held on 13th & 14th September 1986 and Leader was Major Jack Izzard. Television presenter Jeremy Paxman visited the hall in 2005 for the BBC’s Who Do You Think You Are documentary. 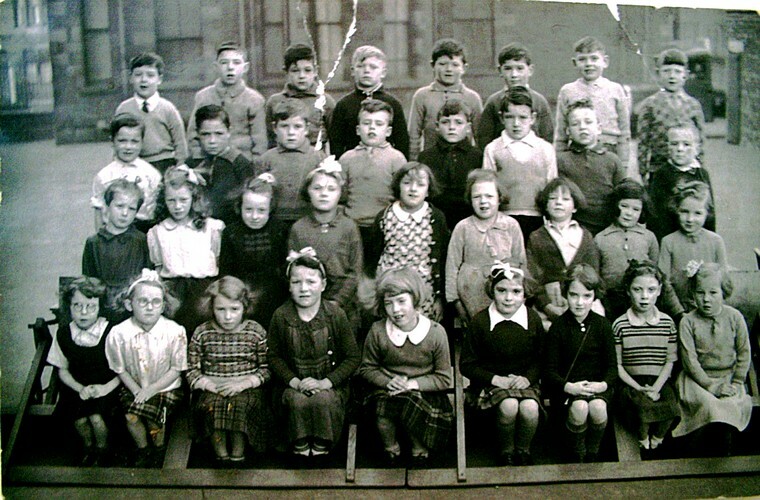 The presenter was moved to tears when he was told that his Great Grandmother, Mabel McKay brought up 11children in a slum in Ardenlea Street, Dalmarnock. 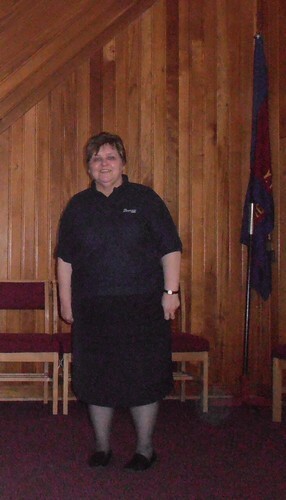 Many thanks to Captain Linda Dunlop for her help and hospitality in gathering this information. The Duke of York, the future King George VI, laying a wreath at the war memorial at the Parkhead tram depot, early 1920s. 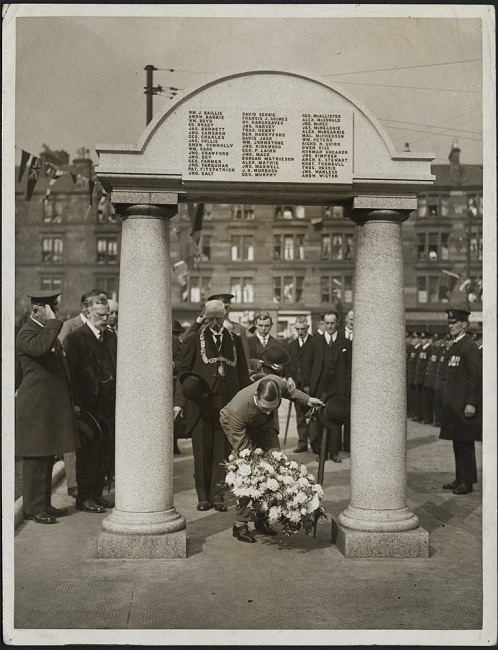 The General Manager of Glasgow Corporation Tramways, James Dalrymple, is standing just to the left of the memorial. The Lord Provost is framed between the columns of the memorial. 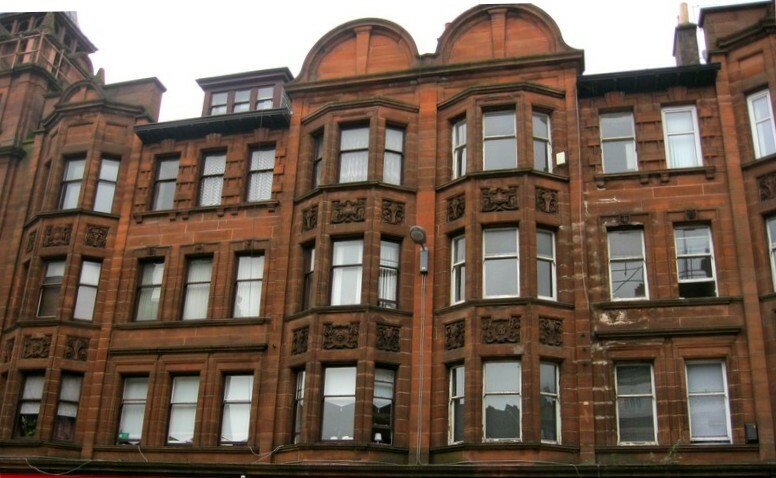 In the background, women are watching the ceremony from their tenement windows on Tollcross Road. 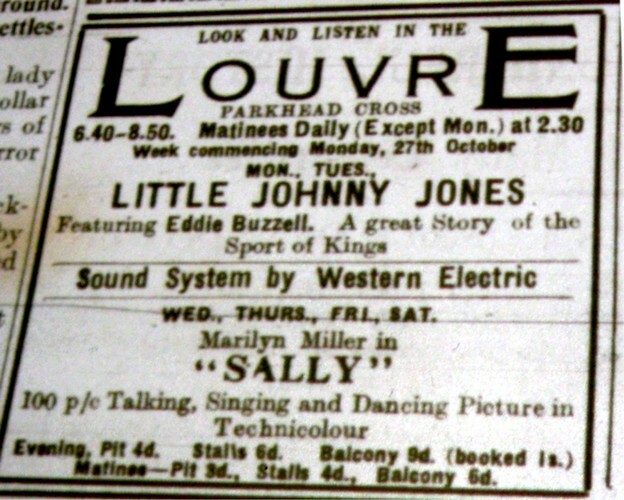 The Duke had a full schedule on his visit to Glasgow. 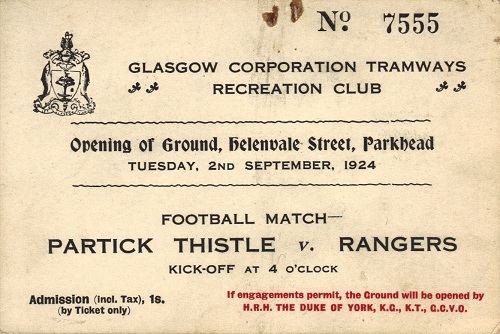 Glasgow Corporation Transport opened their recreation ground at Helenvale Street which contained a bowling green and football pitch on 2nd September 1924. 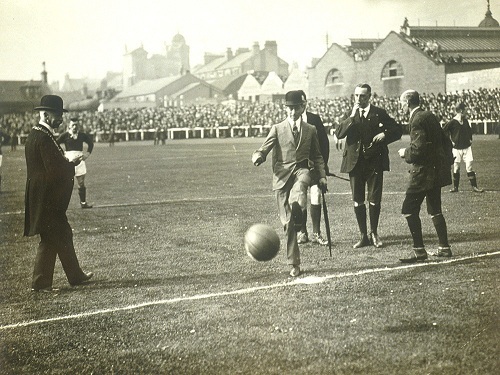 The Duke of York (later King George VI) performed the opening ceremony, and kicked off a match between Glasgow Rangers and Partick Thistle. 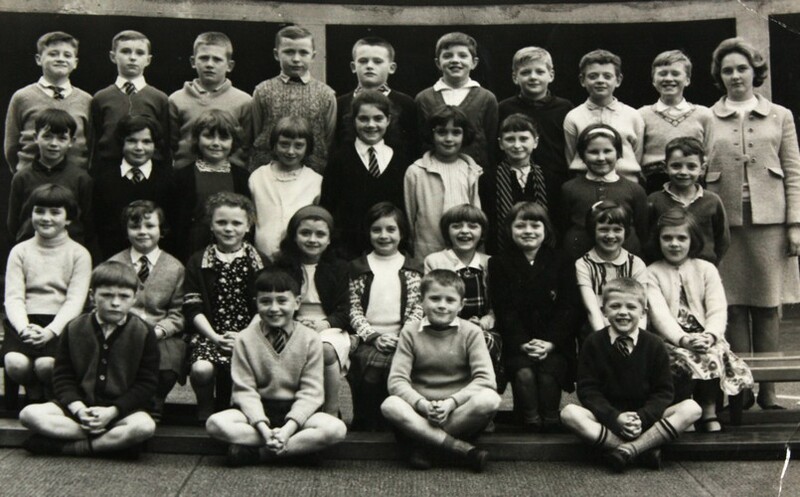 The Score was Partick Thistle 1 (Collins) Rangers 6 (Archibald 2, Henderson 4). Partick Thistle: – Ramsay, Paton, Crichton, Gibson, Lambie, McMullen, Ness, Grove, Collins, Hair, Salisbury. Rangers: – Robb, Manderson, McCandless, Meiklejohn, Dixon, Kirkwood, Archibald, Cunningham, Henderson, Cairns, Morton. Referee was A. A. Jackson. 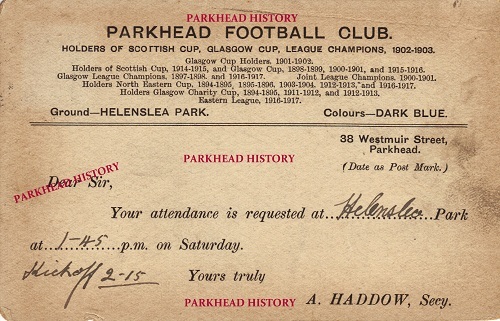 A postcard to a Mr. J McInnes for his attendance at Helenslea Park. Posted 1919. Were you related to him or know of him? 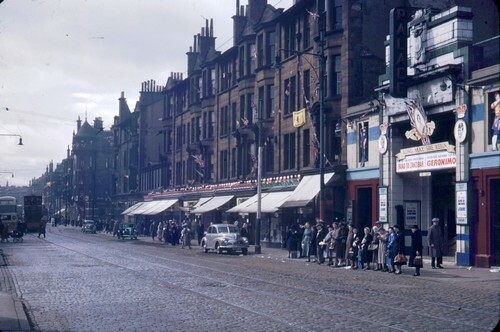 Whitby Street at one time was called Winston Street after Winston Churchill, it was also the site of Parkhead Stadium Station. 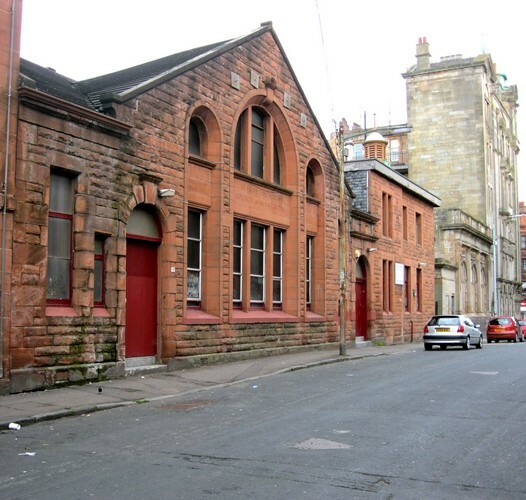 Aerated Water Factory : Factory sited at 1310 Gallowgate, and dated from 1889, the premises of A G Barr Ltd. 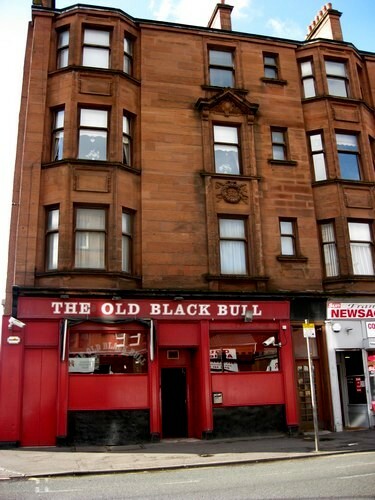 The tenement adjacent to the works dates from 1904 and has the Black Bull public house on the ground floor. 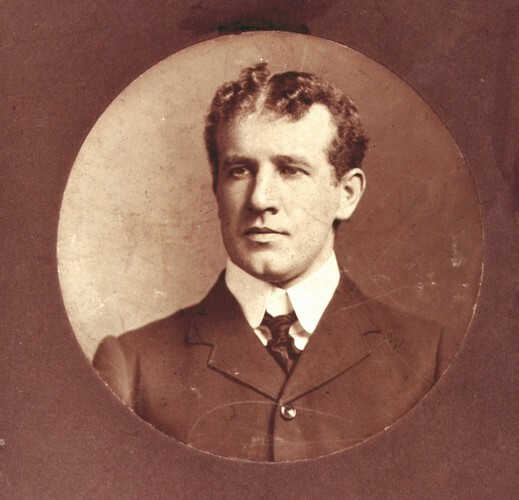 Andrew Greig Barr (1872-1903) was the son of the founder of Barr’s Irn Bru , Robert Barr. 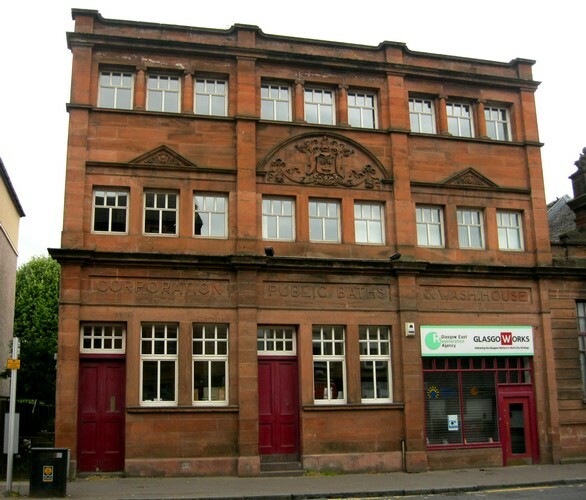 The business was originally started in Falkirk in 1875.In 1887 Robert’s eldest son Robert Fulton Barr started a second Barr Soft Drinks business in Parkhead. This was taken over in 1892 by Andrew Greig Barr. At this time he would have been 20 years old! 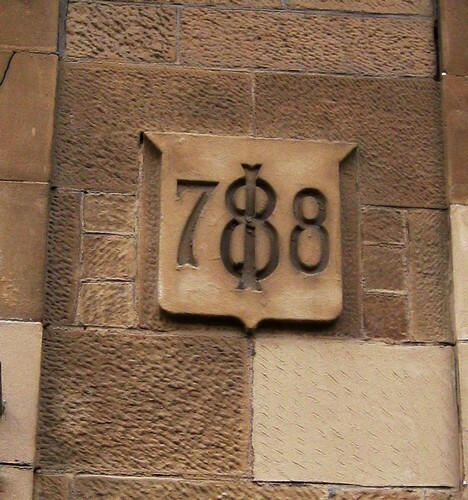 Andrew had been educated at the High School in Falkirk and then Daniel Stewart’s College in Edinburgh. 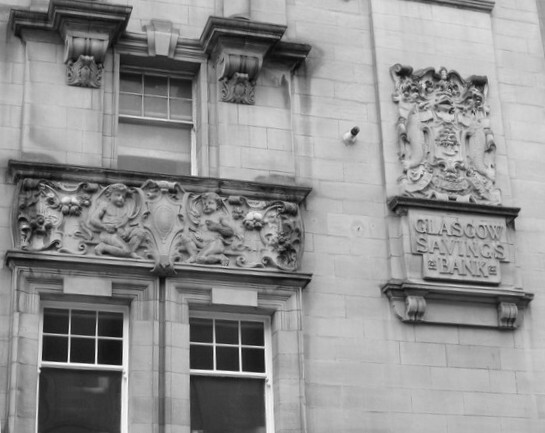 He had started a career in banking but his brother’s company in Parkhead was so successful he resigned from the bank and joined the company. 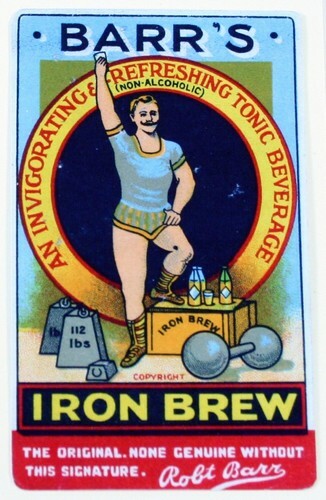 The business flourished under him and he introduced ‘Iron-Brew’ in 1901. He also instigated the limited company of AG Barr & Co Ltd which took place in 1904.Andrew, however did not live long enough to see all his plans put in place. 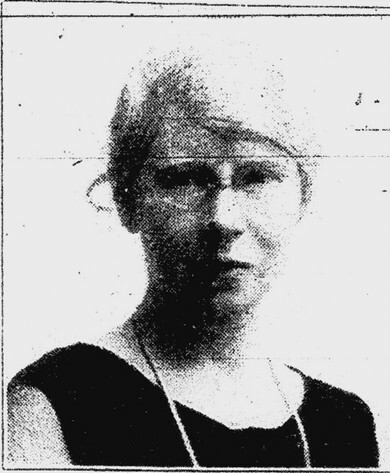 He married Margaret Gibb in Dollar in 1903 and died weeks later. He was only 31. Both Barr businesses, Robert Barr, Falkirk and A.G. Barr & Co.,Glasgow jointly launched their own original recipe ‘IRON BREW’ soft drink. Adam Brown, a famous highland athlete from Shotts, featured in the label design. 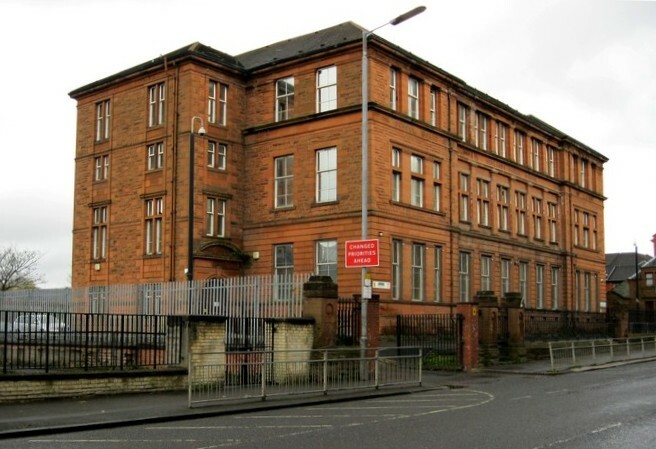 Parkhead Public School : Sited at 135 Westmuir Street,Was built in 1878 to a design by Hugh MacLure.The School is the oldest in Parkhead.Many parkhead people have a warm regard for their old school, and its teachers. 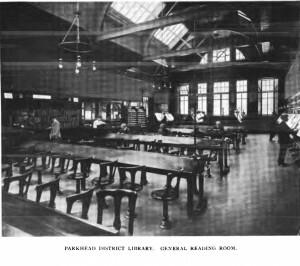 In 1924 a favourite among the pupils was Miss Sybil Ferguson who was appointed shortly after the completion of her training in Glasgow U F Church Normal and who has served the school faithfully ever since, Sybils father was the Late Mr Matthew Ferguson who was a well known and respected member of the Parkhead community.The school closed in 1963 and was later used as a careers office, the building remains derelict. Parkhead Forge was established around 1837 by Reoch Brothers & Company and bought in 1841 by Robert Napier to make forgings and iron plates for his shipyard. 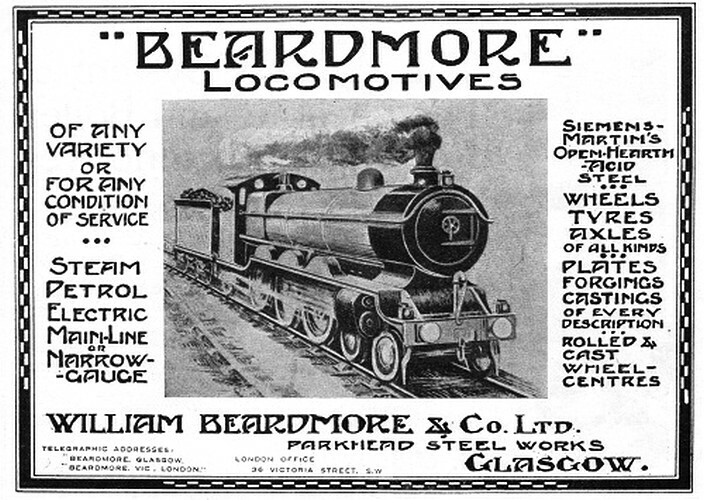 William Beardmore later became a partner around 1860 whose son, William, became sole partner in 1886 and became William Beardmore & Company. 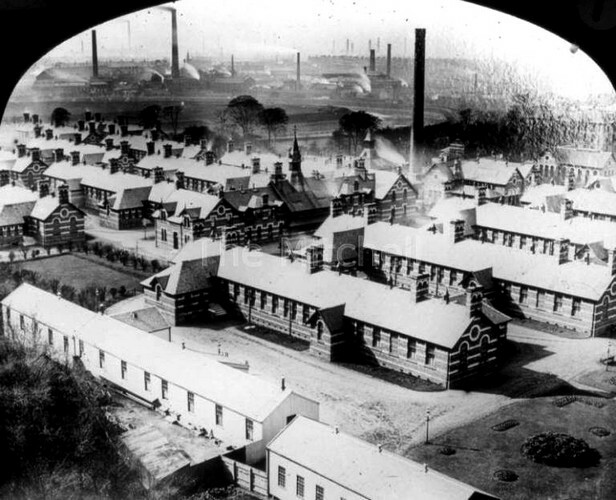 Parkhead Forge was the largest steelworks in Scotland and employed over 20,000 people in its peak. The Forge specialised in the manufacture of armaments and armour plate for warships. 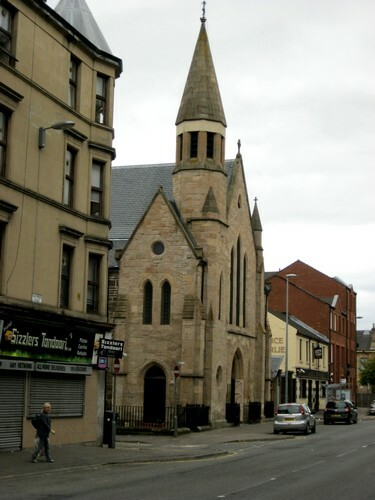 St Michael’s Roman Catholic Church at 1350 Gallowgate was formerly sited on Salamanca Street in 1900 where the building was only meant to be temporary, but it took another 60 years before the New Church that was designed by Alexander McInally was built . 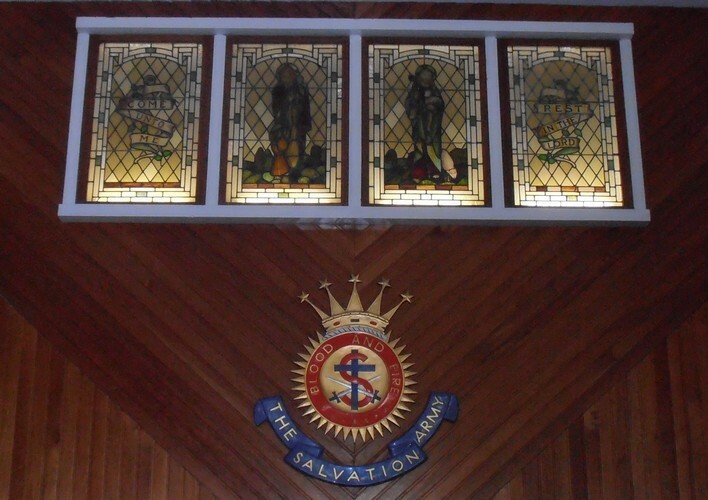 The church was opened by Archbishop Scanlon in 1961 and the first mass was held in 1969. The current priest is Father William McMahon (1999). The entertainments are on the good old fashion lines, with various forms of roundabouts and swings. There is hoopla too, and Aunt Sallies and all other games of skill and chance. The estate of Belvidere near the north banks of the Clyde about two and a half miles east of the city was acquired and a fever hospital opened there in 1829. By 1832 it had 220 beds and in the 1870’s a separate smallpox hospital was added with 150 beds—a clear indication of the continuing presence of this dreaded disease. Belvidere treated a wide range of infectious diseases, from typhus to smallpox and diphtheria, but much of its work was treating the then common childhood diseases of scarlet fever, measles and whooping cough. 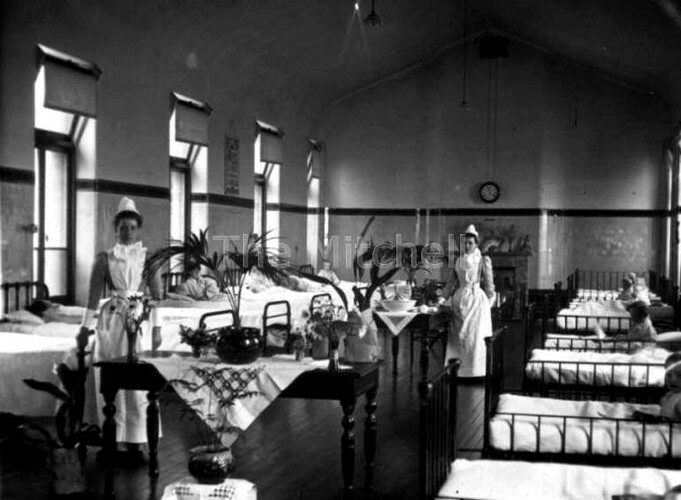 In 1887 the main hospital had been increased to 390 beds. 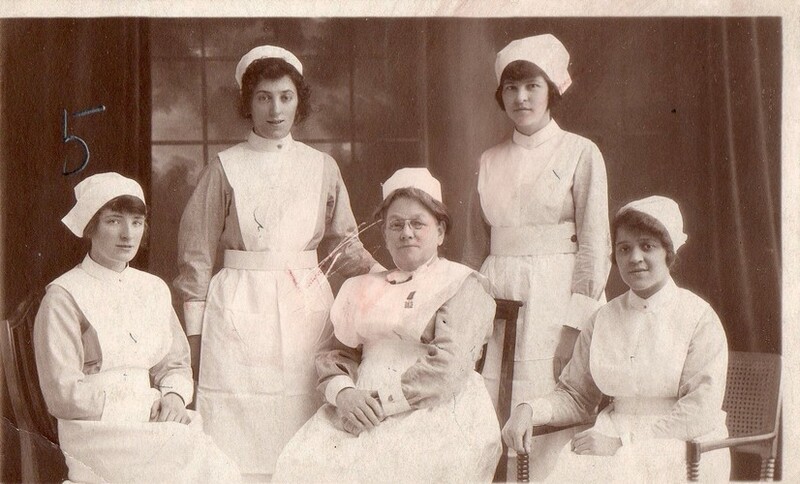 Belvidere was described at that time as ‘the largest fever hospital outside of London’. When the housing estates of Newbank and Lilybank were built, the people wanted Belvidere demolished as they thought an infectious and contagious disease hospital should not be situated within close proximity of houses. 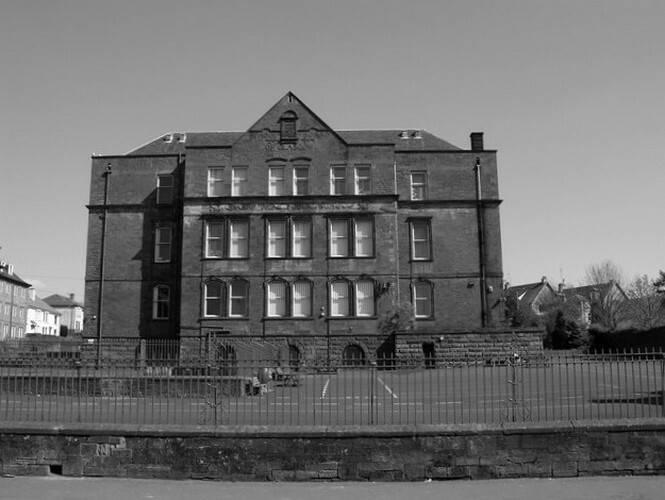 Newlands Primary School : Built in 1895 to a design by Andrew Balfour. Near the site of Newlands school, was one of the finest wells in the whole neighbourhood called ‘Carrick’s Well’. When digging for the foundations for the school the workmen struck the source of this well , and it was only after great trouble and considerable cost they overcame the problem of stemming t he flow of water into the foundations.